Buy Eurodomo 60 cm 1050 m3/h Chimney (Gem TC BK 60, Black) with Free Installation @ 54% Discount. A fine aesthetic for your kitchen! 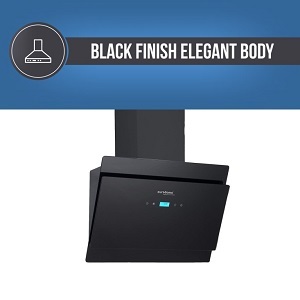 Designed with a classy black finish, this electric chimney from eurodomo will perfectly blend with your kitchen decor. 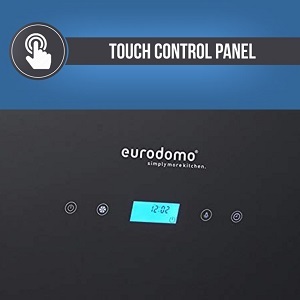 The eurodomo kitchen chimney filters the finest dust and smoke particle with its cassette filter. 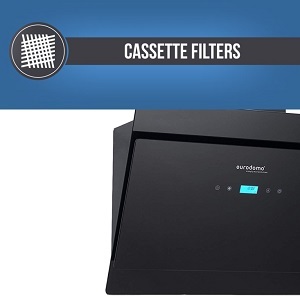 The high-quality cassette filter is capable of capturing every single dust and smoke particle. To add a touch of charm, the electric chimney comes with touch control panel. Now you can operate the appliance with the single smooth touch. Advanced with digital display, this chimney will surprise you with its features. The digital displays showcase the current working status of the chimney. The chimney has the power capacity of 1050 cubic meters per hour. 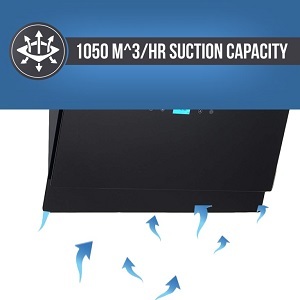 The powerful suction capacity allows smoke and dust free cooking. Presenting the premium Hood from the house of Eurodomo. A stylish, elegant and efficient product to give a smoke free and healthy environment in your house. With higher suction and stainless steel body ensure long lasting performance and durability for the chimney. 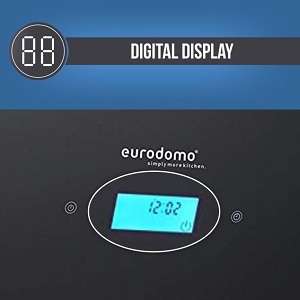 Best Cheap Deals For Eurodomo Home & Kitchen, Grab Cheap Eurodomo 60 cm 1050 m3/h Chimney (Gem TC BK 60, Black) with Free Installation Online.